Gym App contains three modules i.e. 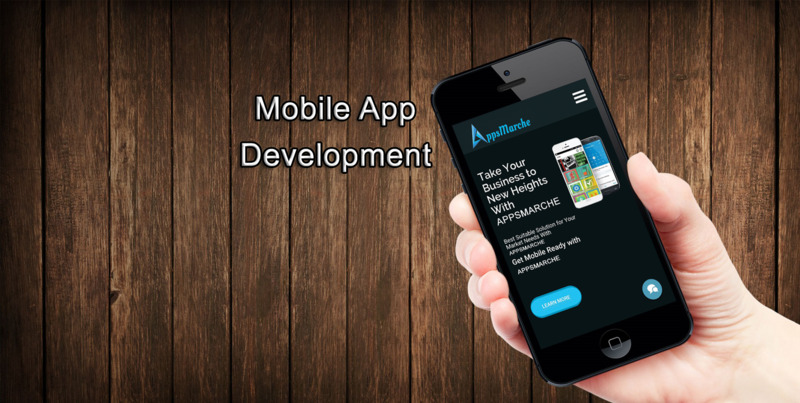 User App(end-user), Admin App(Owner) and Trainer App(Trainer). UserApp is an app for student so that the student can view his/her diet plans and workout plans on the app. This helps users to have access to all the diet and workout plans whether they are in range of gym or not. Gym App contains three modules i.e. 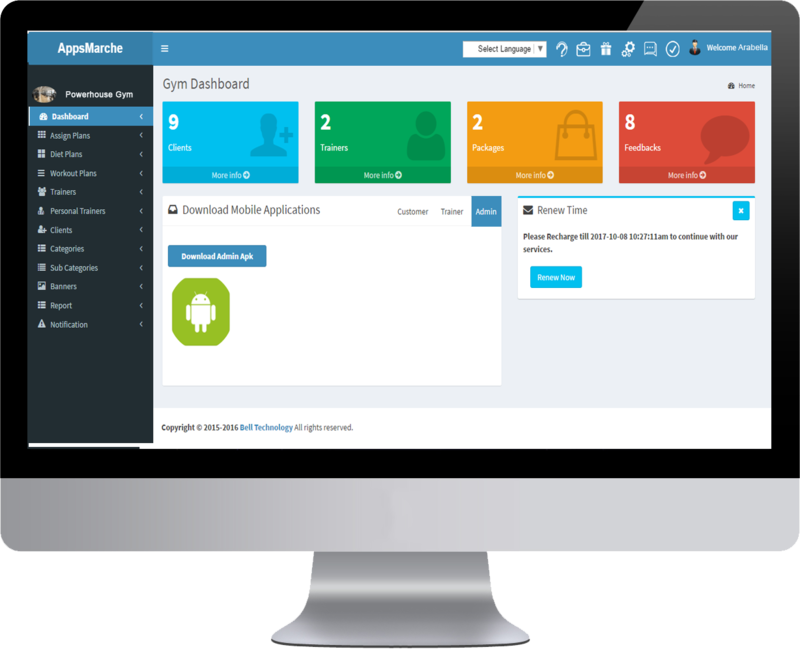 User App(Student), Admin App(Owner), Trainer App(Trainer). UserApp is app for student so that the student can view his diet plans and his workout plans on his app. This helps users to have access to all diet and workout, if user is not in range of gym he can have access to all the informations. In this gym app the user will get real time updates regarding his workout routine. In this app user will get daily remainder regarding his workout routine and diet plan. 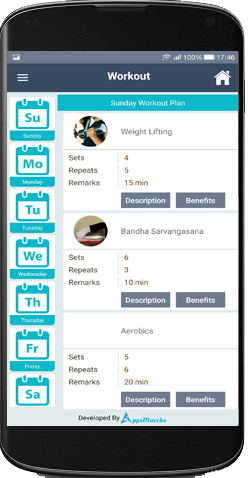 In this app user will get his customize daily workout routine. 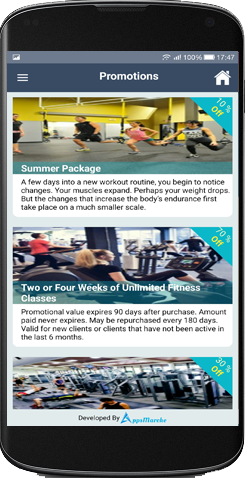 Explore the rich interface of our Gym App. Showing List of Promotions in user application . 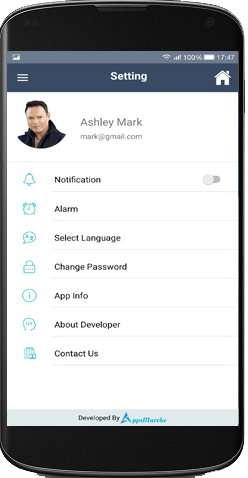 Showing Setting of app with user profile. 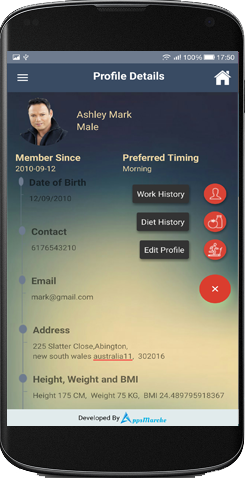 Showing Profile detail of user. The work-out plane detail which has been assigned by your trainer. Showing List of Exercise Categories in user application.